Kendall-Jackson Vintner’s Reserve Chardonnay has stayed on the top of the U.S. sales charts every year since it was introduced in 1983, but it’s not the same white wine that hit the market 36 years ago. The 2017 Vintner’s Reserve Chardonnay is crisp, dry and has subtle flavors of pineapple, mango and papaya with slight aromas of vanilla and toasted oak, the tasting notes say. The wine also has received a 90-point rating on a 100-point scale from Wine Enthusiast magazine. That first Chardonnay was a mistake, but one that led to the company’s founder and first winemaker, Jess Jackson, becoming one of the most successful self-made men in the world and building his reputation as an innovative risk-taker. The 1982 vintage didn’t ferment properly and some of the residual sugars weren’t converted to alcohol, but Jackson decided to sell it anyway for $4.50 a bottle. All of the 18,000 cases sold out. The fruity, off-dry wine was a hit, particularly with people who didn’t drink wine regularly or those moving up from jug wine. Jackson’s mistake was an award-winning gateway wine, and he was given credit for introducing California Chardonnay to millions of new wine drinkers, his obituary in The New York Times says. 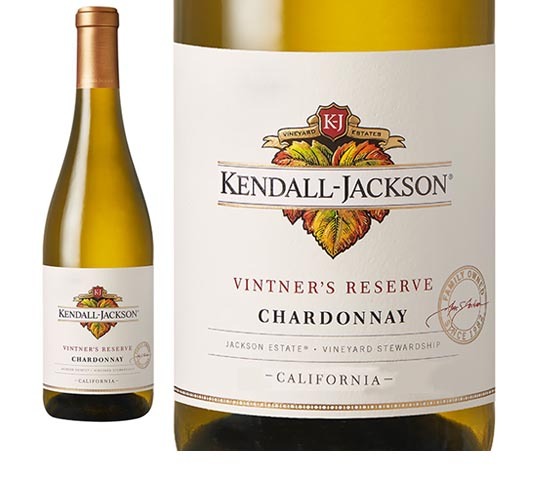 Although the first Chardonnay was a success and the foundation for a brand that now sells more than 3 million cases of Kendall-Jackson a year, the wine received harsh words from critics. Jackson didn’t care. “Our goal was to broaden the consuming public, to bring neophyte people to wine. I’m making wine for the consumer, not the wine writers,” Jackson told the Times in 1992. I’m not a wine snob. I write about good $10-a-bottle wine, but I’m a fan of dry wines. I stayed away from Kendall-Jackson wines for so long that I couldn’t remember exactly why. Most likely, I subconsciously dismissed the wines as being cheap and sweet. Recently, I found the Vintner’s Reserve Chardonnay on sale for $10.95 and bought a bottle. It’s a remarkable wine, nothing like what I had imagined. Turns out, Jackson didn’t like the direction his company was taking after he retired. At 70, he returned to work in 2000, got rid of the CEO and changed the formula of the wines to be much drier and in keeping with the evolving palates of consumers. Whether it was a risk to change the wine, or merely a canny move to follow the crowd, it paid off. Jess Jackson was born in Los Angeles in 1930 and grew up in San Francisco. He sold eggs and chickens on the street corner to supplement his family’s income during the Depression. He also worked as a policeman and a longshoreman to pay his way through the University of California, Berkeley, and law school. Before getting into the wine business, he was a real estate attorney for the state for many years and started his own law firm in the late 1950s. As a teenager, Jackson became interested in viticulture while working with an Italian uncle, picking and crushing grapes, according to his obituary in The Washington Post. After a successful 35-year law career, Jackson and his first wife, Jane Kendall Jackson, bought an 80-acre walnut and pear orchard in 1974, north of Sacramento. They converted the land to vines and sold grapes to wineries. A 1980 slowdown in wine sales cut into his grape business, and Jackson turned to making wine, producing that first Vintner’s Reserve Chardonnay. Jess Jackson and Jane were divorced, and he remarried another successful lawyer, Barbara Banke, who now runs the business along with other family members. During economic downturns, Jackson bought more acreage and planted more grapes. He also bought out unprofitable wineries and lured top winemakers to Kendall-Jackson. According to Forbes magazine, Jackson was one of the 400 richest Americans with a net worth exceeding $1.8 billion. By the time of his death in 2011 from complications from cancer, Jess Jackson had transformed the 80 acres in Lakeport, Calif., into 14,000 grape-growing acres stretching from the prime California vineyard areas to Chile, Australia, Italy and France. The company, which is called Jackson Family Wines, sells wines from $15 a bottle to $150, and includes such brands as Highland Estate, La Crema, Matanzas Creek and 32 others. Jackson also instituted sustainable and environmentally friendly farming practices to the business from its beginning. Not a bad legacy for a company built on a mistake.